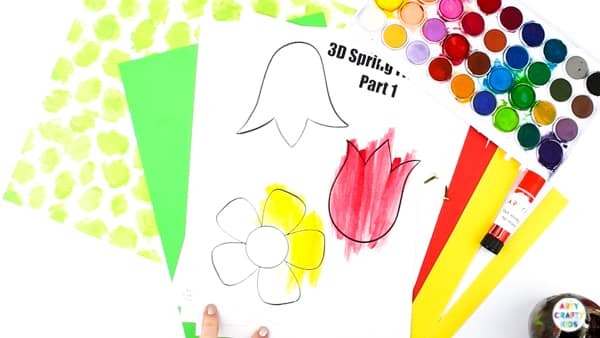 This 3D Sping Flower Craft plays on the idea that sometime between Winter and Spring, the flowers just seem to just pop open, marking the beginning of a seasonal change. 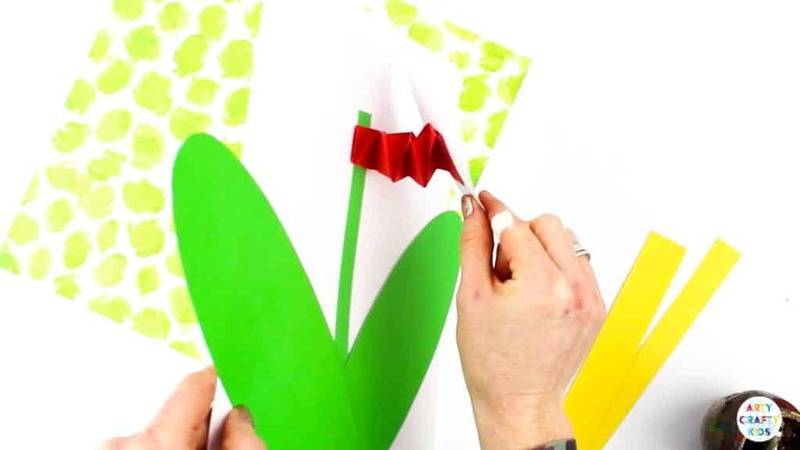 The movable leaves and bouncy flowers, adds a playful element to the creative process that kids will love. 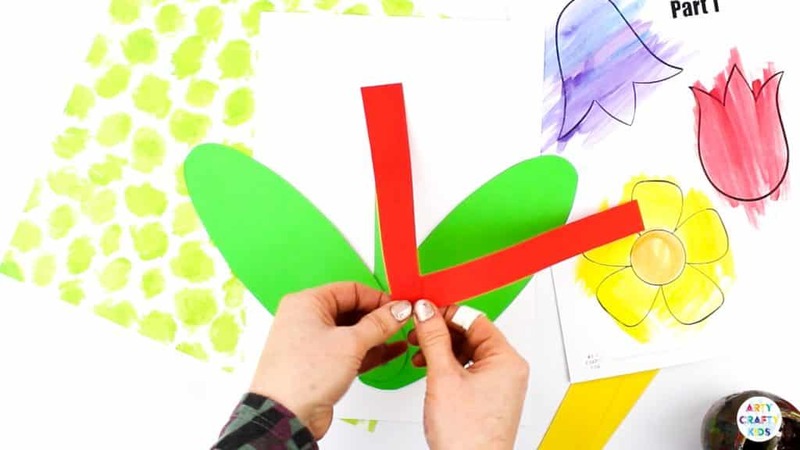 Arty Crafty Kids will need to use their problem solving skills to assemble the shapes, considering measurement and space during the creative process. Fine motor skills are also given a thorough workout! 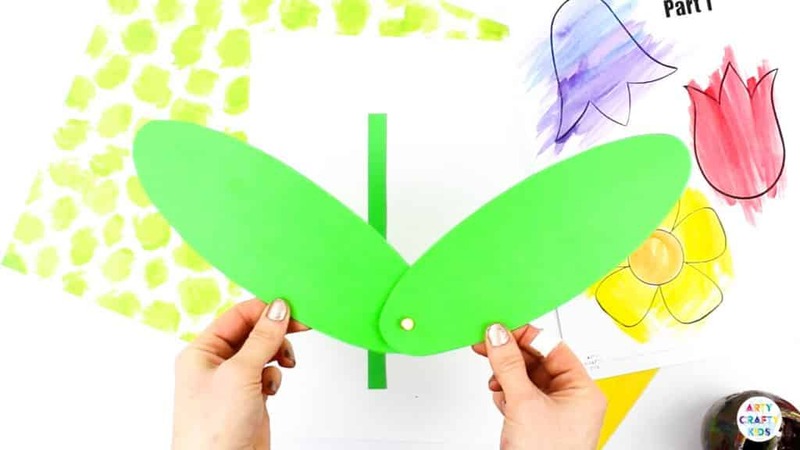 The large shapes are easy to navigate and handle, and the paper folding aides co-ordination and dexterity. 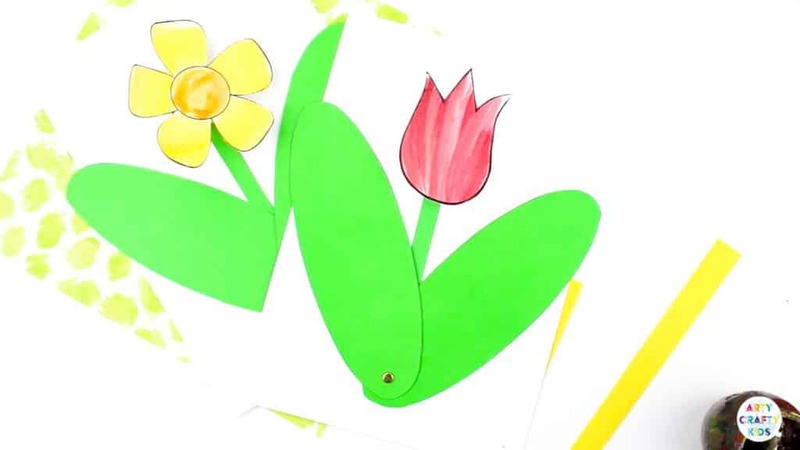 The 3D Spring Flower Templates are exclusively available to Arty Crafty Kids Club members. Already a member? login here! 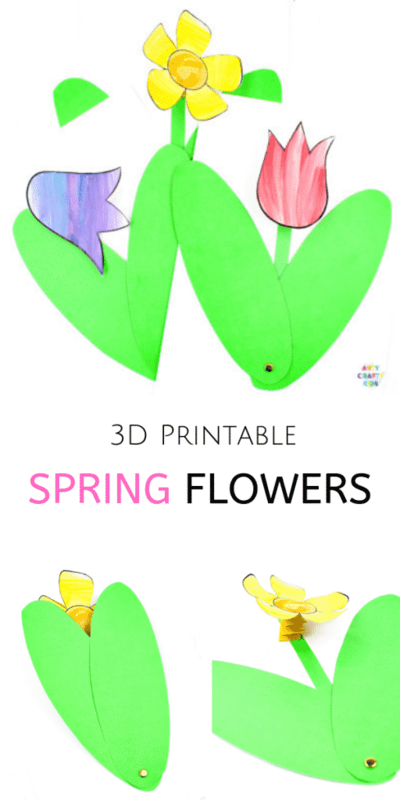 and search 3D Spring Flowers. 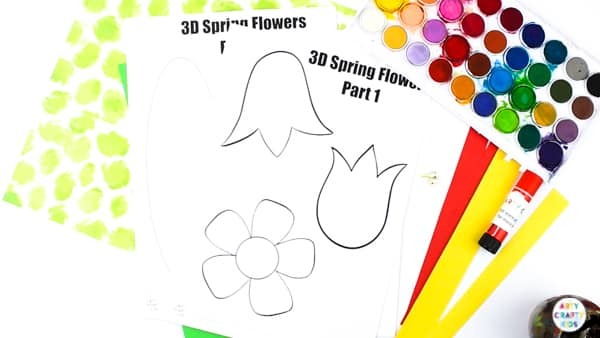 Download and print the 3D flower templates onto white and green card (printing onto green card will enable Arty Crafty Kids to skip the Step 3 tracing step). 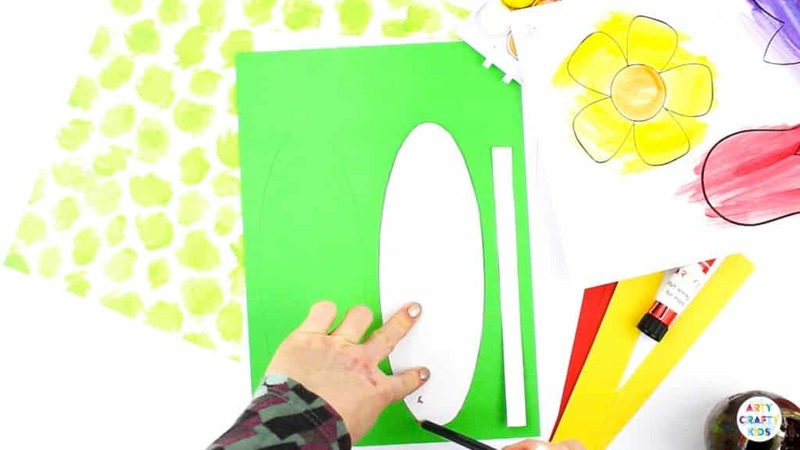 The templates can be accessed via the Arty Crafty Kids Club members area! Paint or colour in the flowers. 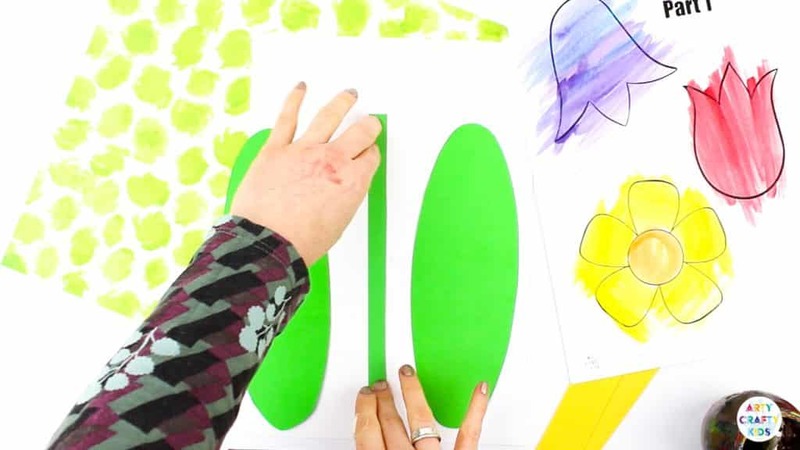 In our example, we used watercolour paints. This creates some gorgeous tones to the flowers, similar to the real thing. 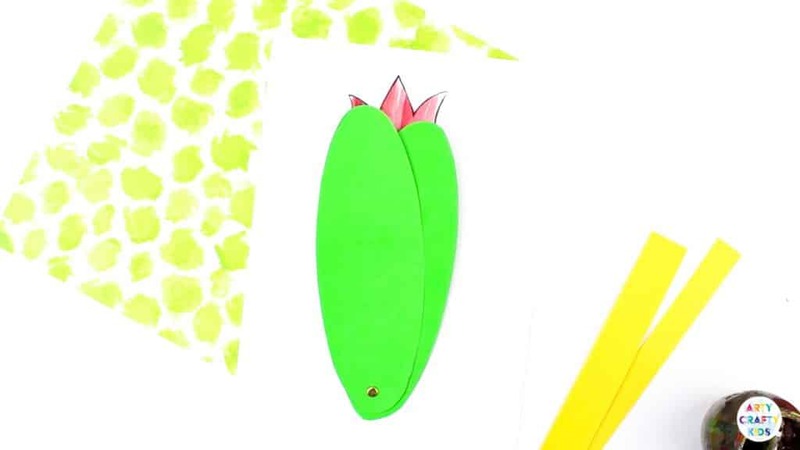 Cut out the leaves and stem, and trace round the shapes onto green card. 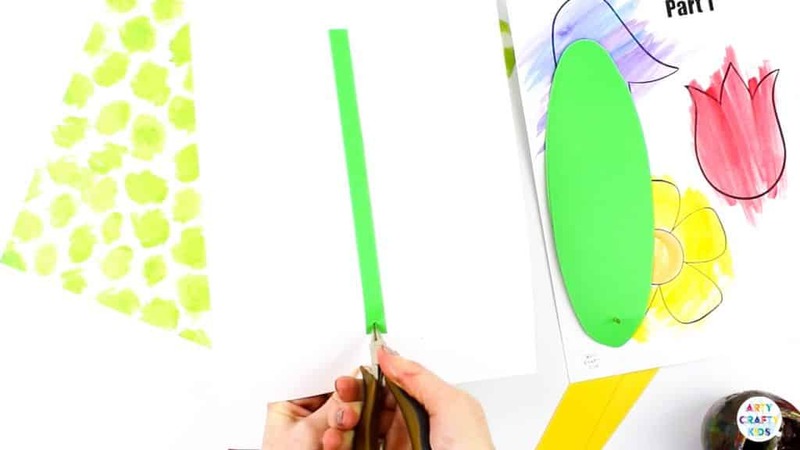 Glue the stem to the the middle of the white card stock. 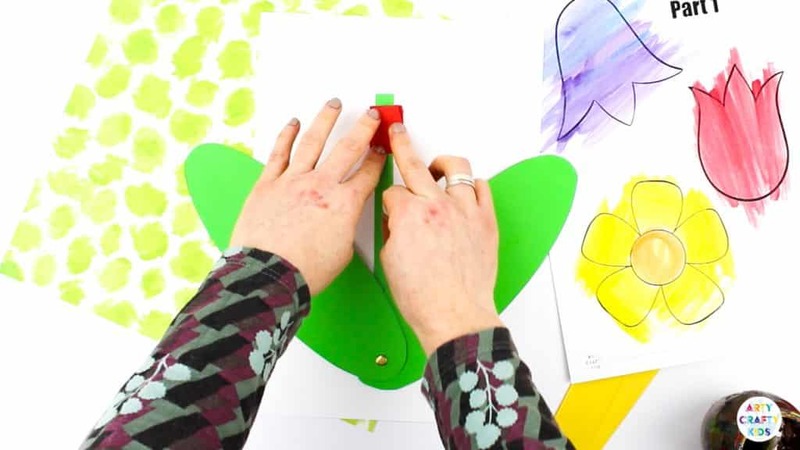 Connect the leaves with a split pin. Create a hole at the end of the stem for the split pin and add the leaves. Simply fold the bottom strip over the top and crease the fold along the edge. This will make the accordion fold tight! Glue the accordion fold to the top of the stem. 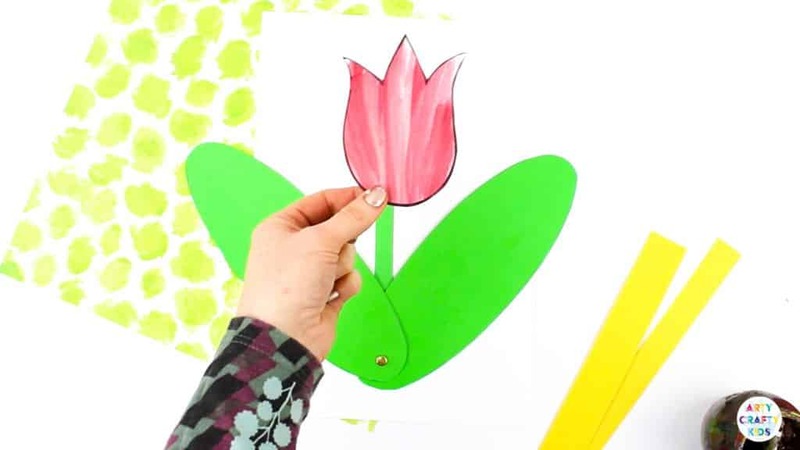 Cut out the flower and glue to the stop of the accordion fold. 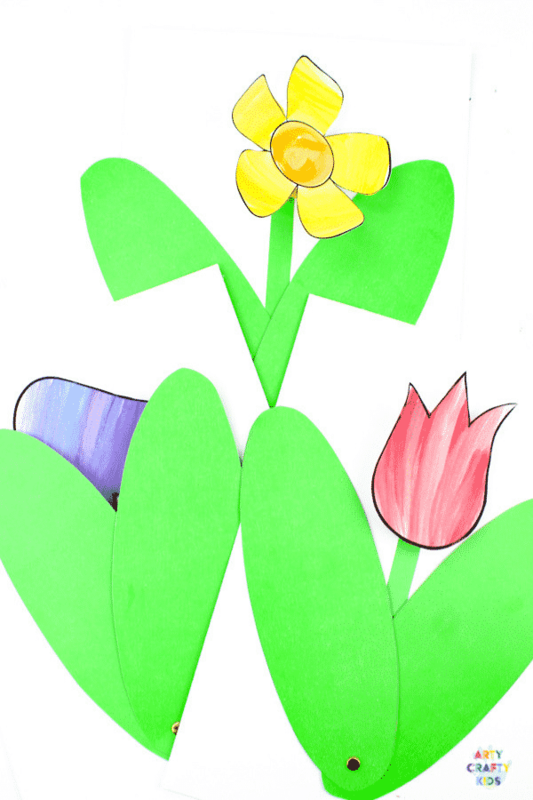 The flower should now spring and bounce. 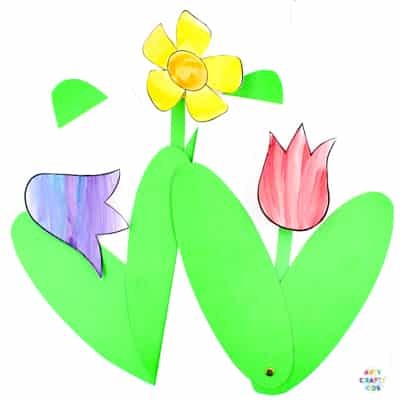 Move the leaves to cover the flower. And when the leaves are opened, the flower will pop out! 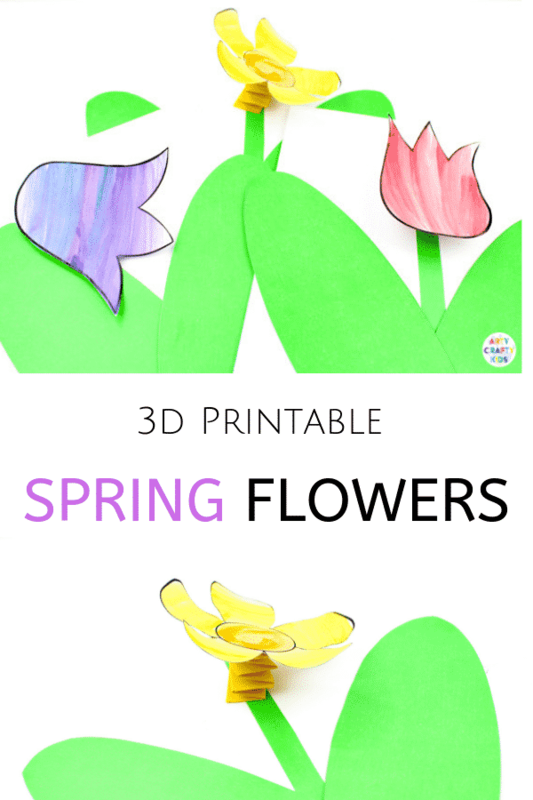 I hope your Arty Crafty Kids enjoy this 3D Spring Flower Craft.